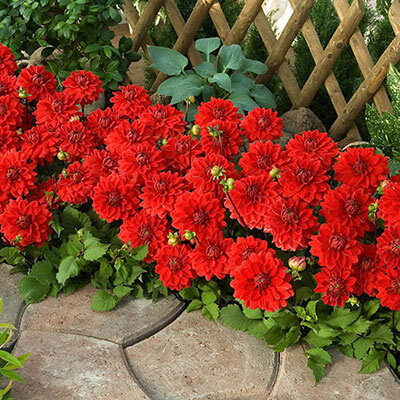 Bring all eyes to borders, walkways and entries with a living carpet of vivacious red blooms. Heatwave is a decorative type with a lot going for it. This low-growing dahlia in a bold shade of red looks amazing along a sunny border, in a decorative container garden or as a welcoming floral display near a doorway or patio. 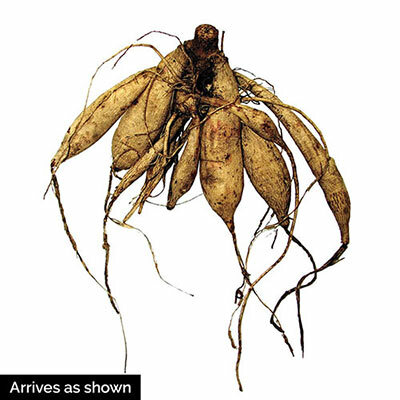 The lush, 4½" dahlias are low maintenance, yet high-impact perennials that dazzle all through summer and last until the first frost of fall. Plus, the blooms are plentiful, creating an almost solid blanket of color. Perfect in cut-flower bouquets and arrangements, too. Remove faded flowers for a cleaner look and more, new flowers.